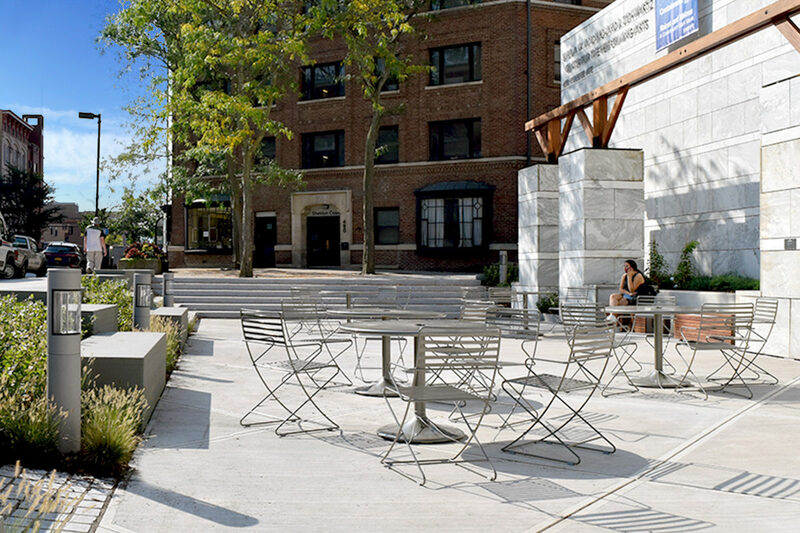 The Schwartz Center Plaza project transformed a little used area into a lively public space that supports a wide range of programming. The new design is a highly permeable, open, and flexible space that is inviting to the community. TWMLA provided leadership on programming, public outreach, design, and construction.